It’s a corker! It’s free as ever and will undoubtedly be lovely. I can’t think of a classier way to spend this coming Sunday. Also, the reason we keep inviting Peggy Sue back is because we love them LOTS. Watch out for the next busk! Details soon. 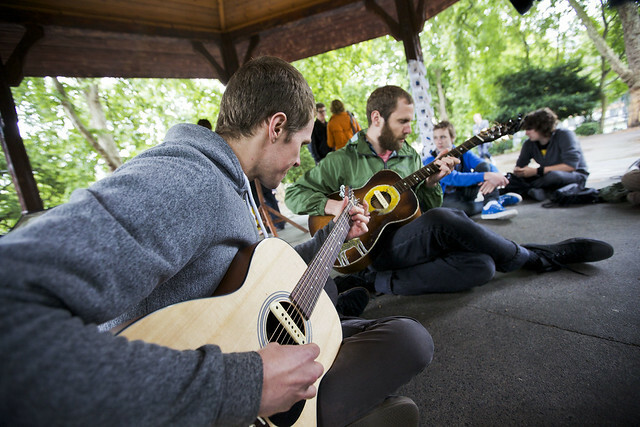 This Sunday at Arnold Circus bandstand we’re back with another free busk. Make sure you let us know you’re coming on our Facebook event page. We’ve put a few more videos up of the busks we’ve done recently. Check out Thousands and Ra Ra Riot. We’ve got many more to come too. Two more videos from our busk with Dark Dark Dark, up here and now below. See all the videos from that busk here. We are so excited to be a part of Meltdown festival at the Southbank Center once again. We’ve confirmed Peggy Sue, She Keeps Bees and Woodpigeon – who join headliners Guillemots on our free stage. Join us next Saturday the 18th 1-5pm for free sets from some of the best bands in town. Be sure to keep an eye on our Twitter for updates, and let us know you’re coming on Facebook. That’s all. See you next Saturday! 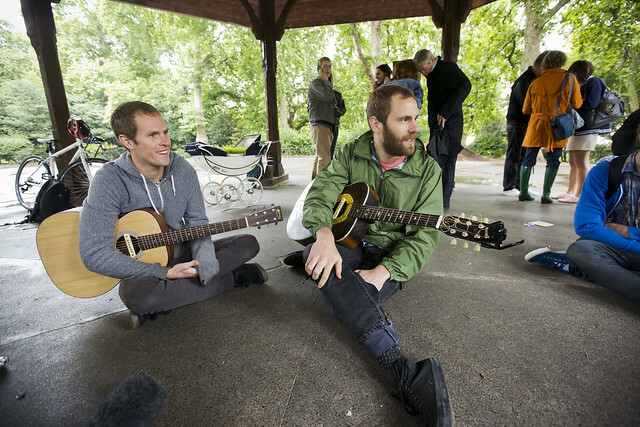 Kristian and Luke, aka Thousands, braved the wind and rain to perform a few songs in a central London bandstand for us and a few intrepid weather-nonchalant fans. Woohoo! 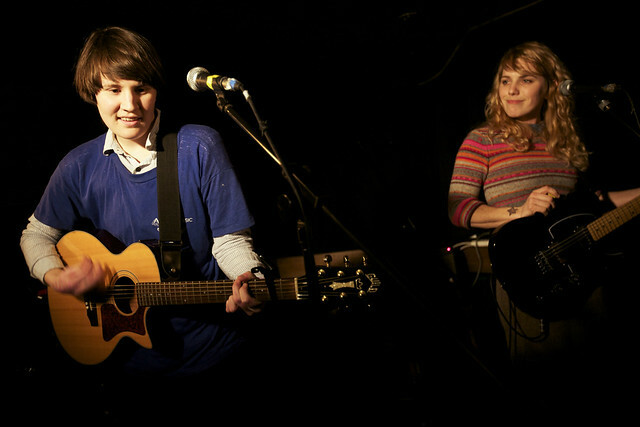 We couldn’t be happier to welcome the wonderful She Keeps Bees to our stage at Ray Davies’ Meltdown Festival on June 18th. They join Guillemots and more TBC. More information on that here. This appearance will be absolutely free and your first chance to catch the band before they play Dalston Roof Park on the 26th and their album launch show on July 21st at The Borderline. WE LOVE THEM!!! LISTEN HERE. 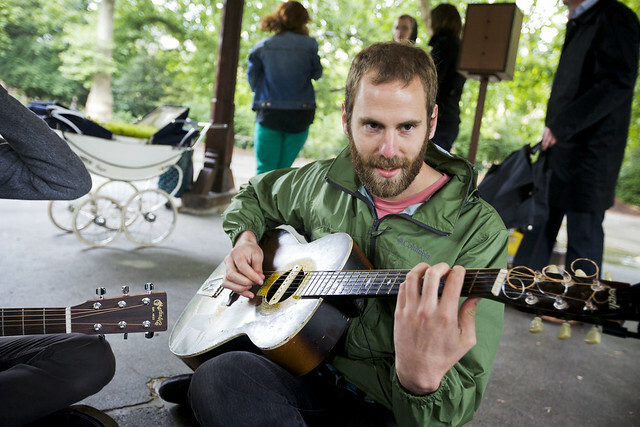 Southbank Centre is delighted to welcome back Bandstand Busking to Meltdown for the second year running, to present a packed bill of top names. This year’s headliners are the extremely talented Guillemots, with more exciting acts to be announced: this free event is certainly not one to miss. 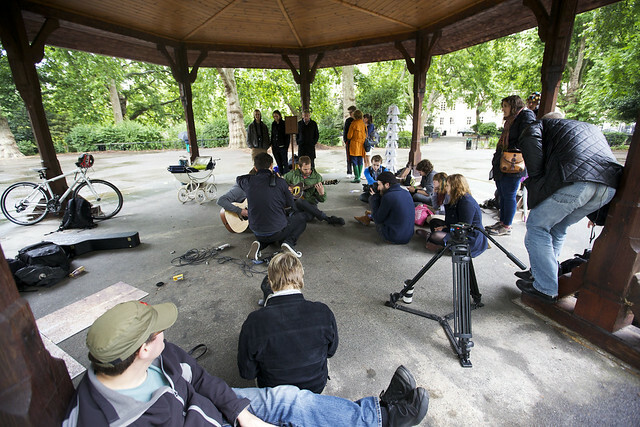 Since founding in 2008, Bandstand Busking have been bringing bands from all over the world to play in London’s parks, filming a few songs and posting them online for all to see. Past artists have included Wild Beasts and Micachu, Black Lips and Vivian Girls, Caitlin Rose and Emmy The Great , amongst many others. 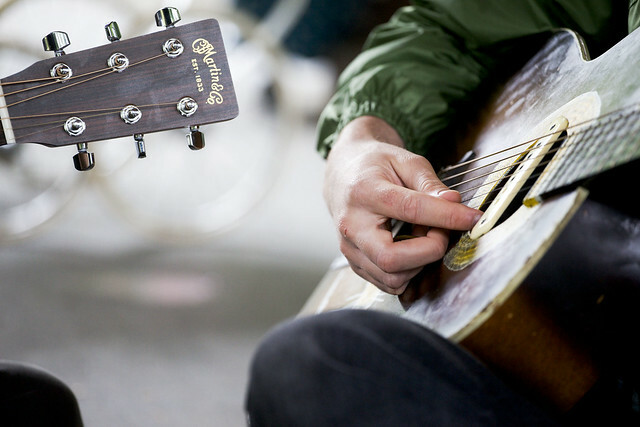 All past performances are available to view on the Bandstand Busking website including a selection from last year’s Meltdown festival. Follow Bandstand Busking on Twitter and Facebook to keep up with announcements about this event. Let us know you’re coming!!! Bandstand Busking is back after a long and lengthy winter (and spring) hibernation. It’s all change here; we’ve got a new website, new logo, new camera gear and a fresh and eager thirst to book in some new incredible busks. To kick things off we spent some time this week with Dark Dark Dark in Hampstead Heath and Ra Ra Riot at the Southbank Center and filmed them performing a few songs. Keep your eyes wide for the footage from that which will be online soon. 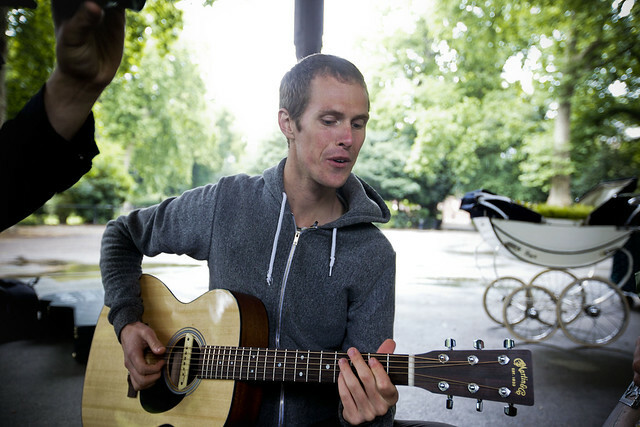 And keep your ears open for news of our future busks! We have exciting things in the works and can’t wait to share. http://bandstandbusking.com/wp-content/uploads/2017/09/buskinglogo2.png 0 0 Bandstand Busking http://bandstandbusking.com/wp-content/uploads/2017/09/buskinglogo2.png Bandstand Busking2011-05-22 11:58:072017-10-04 13:17:12We're back!